Games Editor for The Verge with over 10 years experience writing about casual video gaming for publications like Wired, CNBC, and Gamezebo. FarmVille was one of the biggest games on Facebook, and now there is a sequel, FarmVille 2: Country Escape. Fortunately, you no longer have to be logged in to the social network to play since Zynga has made FarmVille 2 available through its own website and mobile app. You can also play the original FarmVille while not on Facebook via the Zynga website. You can play FarmVille 2: Country Escape on the Zynga website without a Facebook account. All you have to do is log in with your Zynga account, or create a a new account for free. You can also log into FarmVille 2 using your Facebook account if you prefer. To play the FarmVille games through a web browser, you must have Adobe Flash enabled. The game itself looks and plays exactly as it does on Facebook, only without the social networking trimmings. These have been replaced with a variety of FarmVille specific features. For example, there's an activity feed on the side that gives you the latest updates from your in-game friends and everyone else currently playing. You can also view all of your current requests and stay up-to-date with the FarmVille news feed, which keeps track of the latest developments in the game. While the original FarmVille isn't available as an app for mobile devices or PCs, FarmVille 2: Country Escape can be played on multiple platforms including Windows, Android, and iOS. To play on a Windows PC, download FarmVille 2 from the Microsoft Store for your Windows 10, Windows 8.1, Windows 10 Mobile, or Windows Phone 8.1. To play on your Android device, install FarmVille 2 from the Google Play store. To play on your Apple iOS device, download the FarmVille 2 app from iTunes using your iPhone, iPad, or iPod touch. 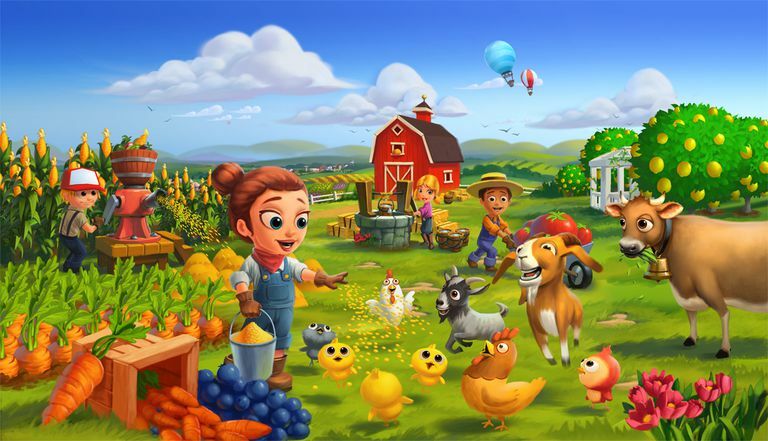 The FarmVille 2: Country Escape app connects you to the game via the Zynga website, which means you don't have to log into your Facebook account to play. You can play the original FarmVille on Zynga's website, but you will need to log in with a Facebook account. You used to be able to play by simply making a Zynga account, but that has apparently changed. Still, knowing how to play FramVille while not on Facebook can come in handy if you want to farm during your downtime at work or school where Facebook is blocked, if you're overcoming Facebook addiction but still want to play FarmVille, or if you just don't like playing games while being bombarded with Facebook notifications. Does FarmVille: Tropic Paradise Require Facebook? FarmVille: Tropic Paradise is a mobile exclusive. It can only be played on Android, iOS, and Amazon Fire devices; there is no Facebook or web version. Consequently, you do not need a Facebook account to play.